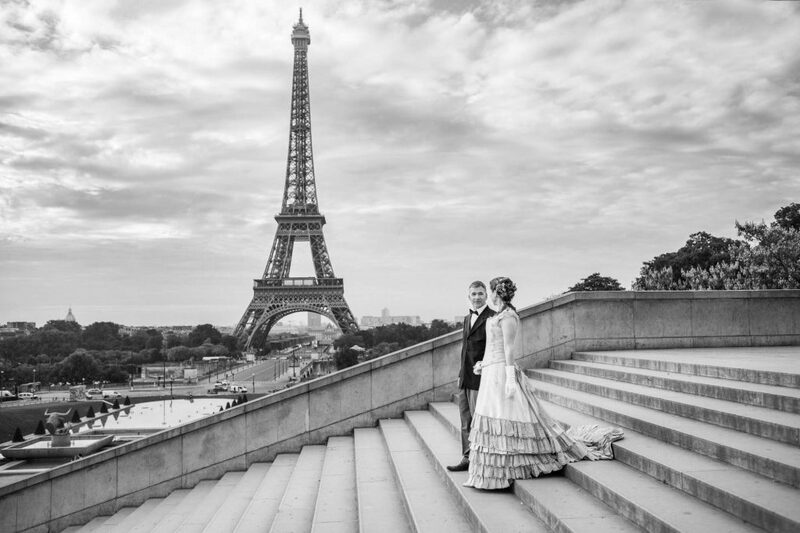 In love and fancying a professional photoshoot in Paris? Paris, the city of love, with its crooked alleys and it’s grand open spaces, the Eiffel Tower and the Louvre and romantic walks along the Champs-Elysées, the cobble stones on the banks of the Seine and the bells of Notre Dame … need I say more? This is the Paris you’ve seen in so many movies, the Paris that you’ve dreamed about for years. This is my Paris! When you’re a couple, Paris is probably something of a dream for a photoshoot. Have you ever thought about posing for a professional photographer in front of the Eiffel Tower, holding your darling in your arms, whispering sweet nothings in their ears as the photographer captures the moment for eternity? Make your dreams a reality. 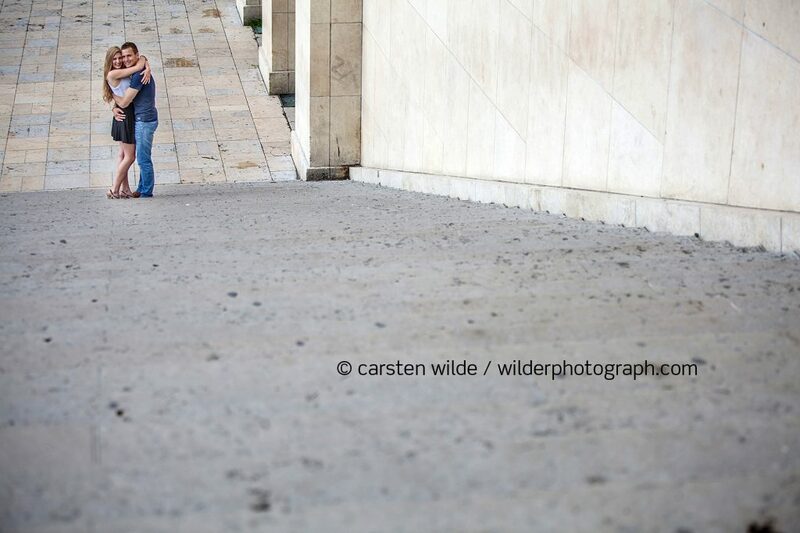 Book professional photographer Carsten Wilde for your dream photoshoot at the Eiffel Tower or elsewhere in Paris! 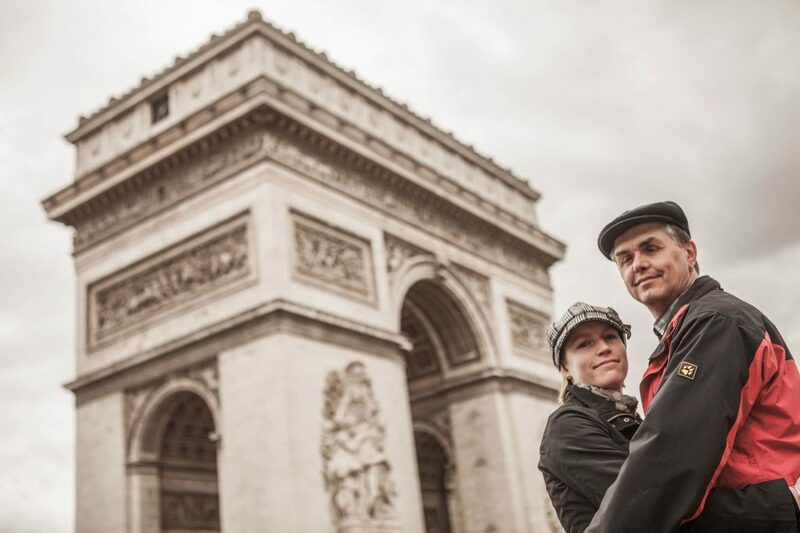 A professional photoshoot is perfect if you’re spending a long weekend in Paris. 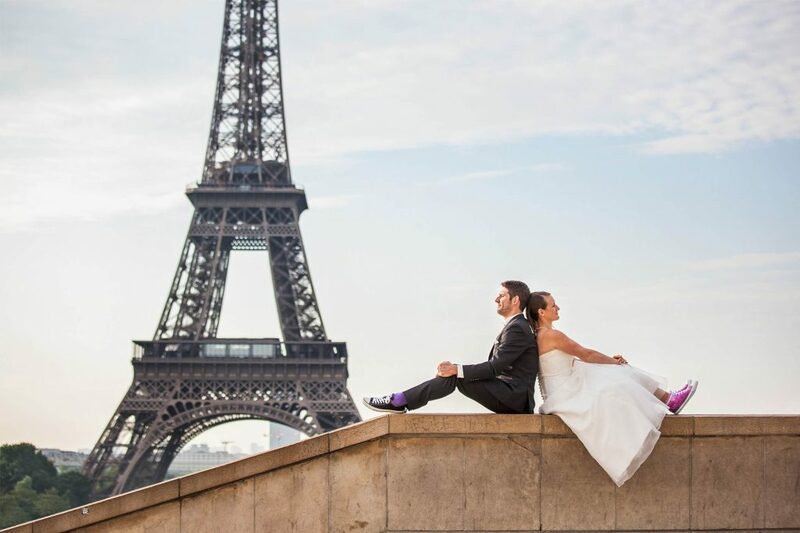 Maybe you’re even planning to spend your honeymoon in Paris, the city of love, but you’re still looking for a professional photographer who will be able to capture the love you feel for each other on film. This professional photographer has been working in Paris for years. Consequently he knows all about the city. 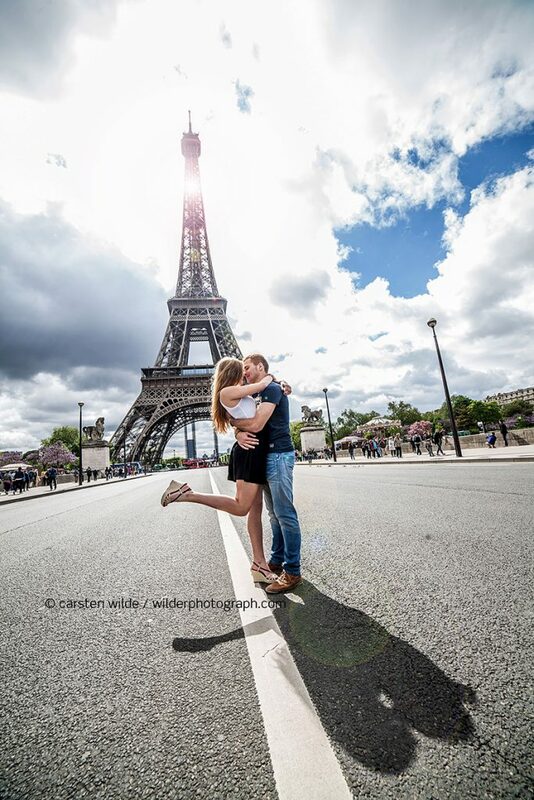 He knows the hidden spots that are perfect for a photoshoot at the Eiffel Tower. It’s not that easy to evade the many tourists that visit Paris every year, but if you know how to do it you might just feel as if you had spent some time alone at one of the world’s most visited landmarks, the Paris Eiffel Tower. You’ll be able to take home unique pictures of yourself in the most beautiful places in Paris. Everyone’s favourite location is, of course, the Eiffel Tower in Paris. My photoshoots begin early in the morning on Trocadéro and lasts about 2 hours. 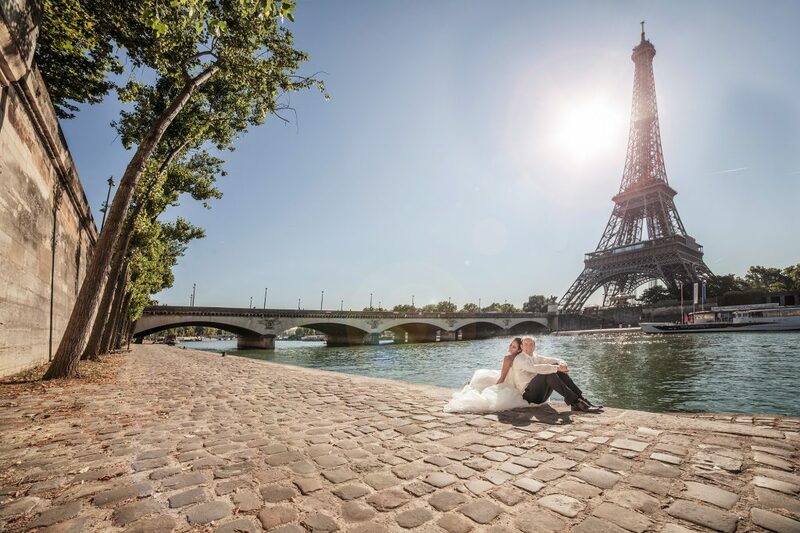 Your personal photographer will photograph you in up to seven different locations around the Eiffel Tower. Your professional photographer knows exactly where the best locations are. He knows the best angles for professional photoshoots around the Eiffel Tower, and he even knows how to take pictures without lots of tourists in the background. Even when there’s no sun, a photoshoot in Paris is worth the trip. A cloudy sky makes for a beautiful atmospheric light. Your photographer knows how to make the best out of every situation; you won’t even remember how cloudy it was when you look at your beautiful, luminous pictures. 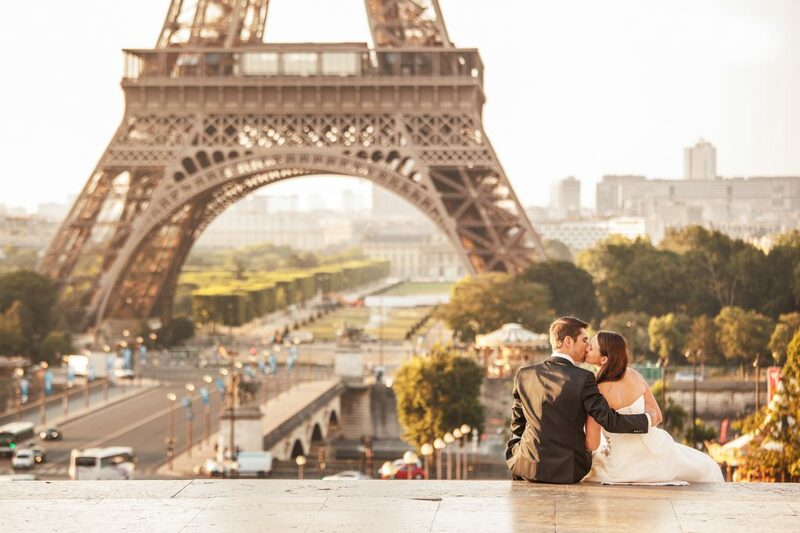 Whether you’re looking for a photoshoot to remember your holidays by, a wedding photoshoot or a photoshoot for your marriage proposal, the Eiffel Tower is the perfect background for your photoshoot in Paris. It’s best to start the photoshoot bright and early or late in the day. In winter, photoshoots around noon are generally the best choice. 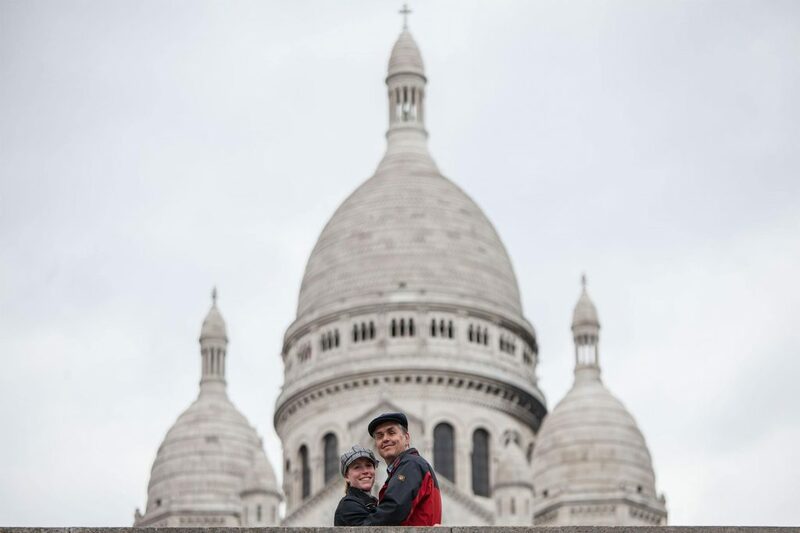 Another great location for couples photoshoots is the Basilique du Sacré-Coeur. From the Sacré-Coeur it’s only a short walk through the crooked alleys of Montmartre to the Moulin Rouge. A photoshoot in Montmartre will take 2 to 3 hours at most, and it’s possible to have a photoshoot in Montmartre all day long. Your professional photographer knows the streets of Montmartre and will capture you from different angles at the Sacré-Coeur and in front of the Moulin Rouge. If you’d like to book a photoshoot in Paris, you can contact my directly on my website or via e-mail. Usually I respond within 24 hours, and I’ll send you an individual non-binding offer for your professional photoshoot in Paris.